Provide a reason to show up: Picture this: you start the year with a class of 60 students. A few students lose interest in the subject and stop showing up. The discussion deteriorates. More students leave. Soon you’re down to 10 angry students who are just there out of principle. You can stop this chain from starting with this message: show up and receive the points, or skip class and be punished. 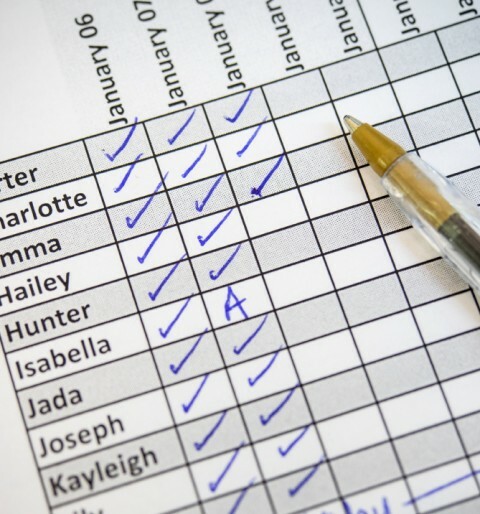 As a Safety Net: At the end of the semester, students may ask you for a few extra points to bump up their final grades. To appease these students, professors that actively take attendance can reward students that show up and punish those that don’t. Justice in Grading: So you’ve got two students with a B: one showed up every day, but just doesn’t seem to get the material; the other gets the material, but only showed up half the time. Do these two really deserve the same grade? Probably not, but if you don’t take attendance they will both end up with just a B. Student Responsibly: If a student decides that something is more important or urgent than attending class, then it is their responsibility to make up the work, not the professor’s. Life happens and by allowing students the freedom to balance out their own schedules, students are better able to grow as people and succeed academically. Prevent the “Show Up and Check Out”mentality: When mandatory attendance is in place, many students show up to class only to earn participation points. Once roll is taken, these students see no reason to work or pay attention and often distract other students with Facebook chatting, video streaming or games. If you don’t track attendance, less-motivated, sleepy and distracting students weed themselves out. Whether you choose to take attendance or not, nClass has got you covered–take attendance quickly and digitally OR prompt classroom participation in a different way. Try pop quizzes and exit tickets as a supplement or an alternative with nClass. Does taking attendance help or hurt the classroom experience? Let us know in the comments.